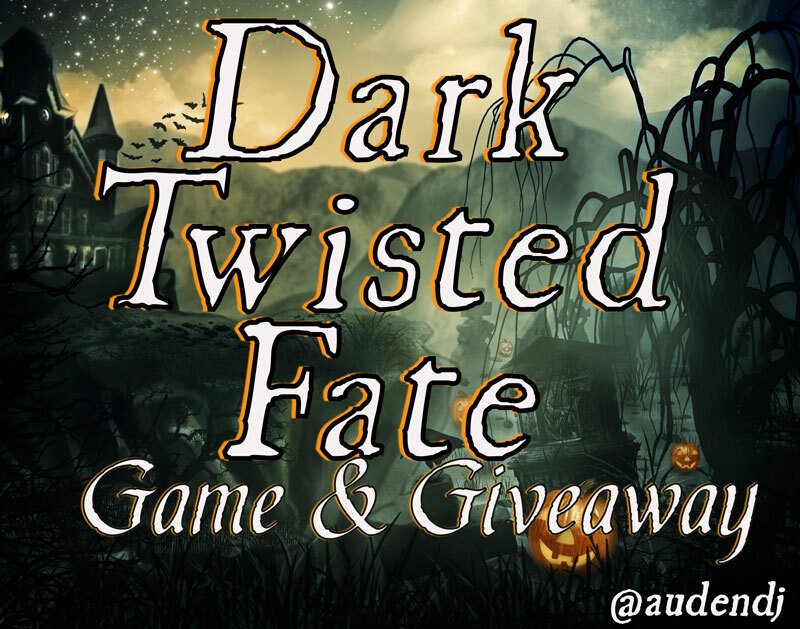 Welcome to #DarkTwistedFate! Read the story, vote what happens next. Return every Monday this month to read the next part in this series. 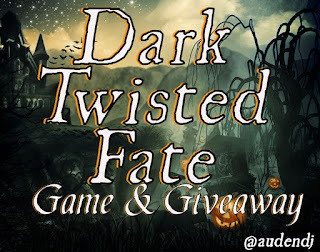 I'm running a giveaway alongside this game. Find the details below! A decayed smelled lived in this withered mansion. The scent rose from the ground like foul smoke. A nasty monster owned this property. The worst place for humans to have a party. The pounding in Kiran Neeal’s temple moved behind his eyes. His nights were supposed to be for basking in the darkness— in his real form. Vashi Ka slapped his back. The pain in his head flared. Kiran could scream at her. Six years older and slightly taller, Va never listened to him. Kiran was expected to obey. 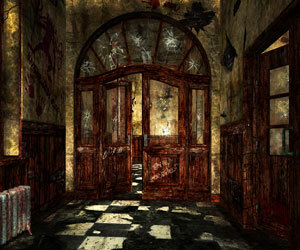 Va led the way into the accursed mansion. Like some lost animal, he followed her. Body parts dangled from chandeliers. Blood dripped from the ceiling. Relief made Kiran’s vision swim. Just the way he liked his humans, dead. Two children, male and female, danced barefoot in the blood. It stained their white and tan pants. It glowed on their pale skin. A male sat cross-legged in a chair reading. A sweet, tantalizing scent lived above the carnage. Kiran’s energy hit his feet. The scent wanted him to submit. It pumped burring lust into his veins. Kiran ached to surrender to whatever creature produced such a tantalizing odor. He pushed air out of his nose. His foggy mind cleared. The alluring scent tried to ensnare him again. He was prepared. He would never submit. “Your tail is showing,” Va snapped at Kiran. Why did that matter now? Kiran's thin blue tail had a mind of its own. It cut through his pants and whipped behind him as it pleased. “What happened here?” Va demanded, glaring at the reading male. He locked his silver eyes on them and frowned. A strange yellow haze surround him. He closed the book. “Your Vashi Ka’s pet,” he said, holding Kiran with that unnerving gaze. Kiran’s tail stopped. He was never Kiran Neeal. He was Vashi’s pet. The Ka’s weren’t a prominent family. The name became famous when they took in the last demon of a disgraced clan. He swiped at her hand. Kiran's claws were out now. Soon, his skin would change to its twilight color. The midnight black of the Ka family slowly took over Va’s golden skin. Va sniffed the air with a frown. Cocking her head, she knelled, putting her nose in the blood. Va let the male get away with not answering her question. What scent could distract her from putting someone in their place? Va dragged Kiran to the human world to chase this thalig. She needed its blood for a difficult potion. This particular beast tore her newly constructed house to the ground for no other reason than the building was in its way. This party was supposed to be a way of making nice with the humans until Va found what she needed. The two children smeared blood across their faces. They played with severed legs and arms. Their laughter was a fascinating song meant to lure others in a deadly trap. The older male’s eyes crinkled with delight as he watched the children play. A sickening feeling slid its greasy worm-like arms under Kiran’s skin. He pulled Va’s arm. They needed to leave. Thaligs didn't possession buildings. Kiran could no longer smell the rotting monster that claimed this property. Win this Leather Journal and 2 Styluspens! Enter below. 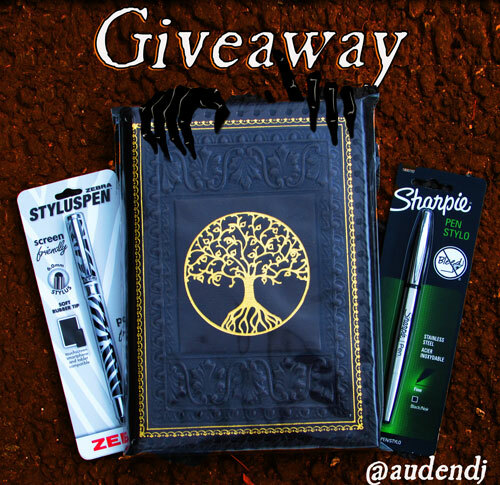 Giveaway ends 10/26.